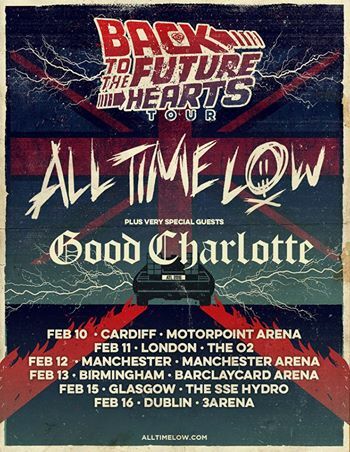 You are at:Home»News»Good Charlotte to support All Time Low on UK arena tour! Good Charlotte to support All Time Low on UK arena tour! Recently returned Good Charlotte will support All Time Low in the UK and Ireland next year. And in case you somehow missed it, you can listen to GC’s comeback single ‘Makeshift Love’ above!